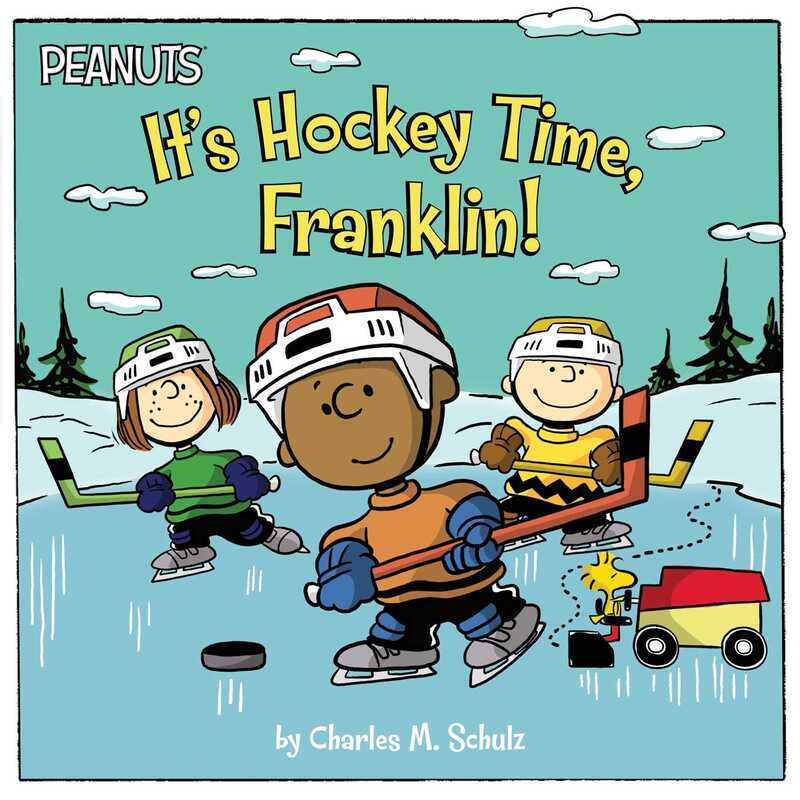 Franklin soars onto the ice with Charlie Brown and the rest of the Peanuts gang in this 8x8 storybook based on a classic Peanuts pastime! When Franklin accepts Charlie Brown’s invitation to play hockey at the pond, the ace player doesn’t get the carefree afternoon he expects. First Peppermint Patty refuses to share the ice. Then a rival group of kids try to claim the pond for themselves. It looks like Franklin will never get to skate, until he brainstorms a brilliant play to please everyone. With Charlie Brown, Peppermint Patty, Lucy, and Snoopy on his side, he challenges the rival kids in a winner-take-all game of hockey. If Franklin’s team wins, the pond belongs to everyone. Book Cover Image (jpg): It's Hockey Time, Franklin!